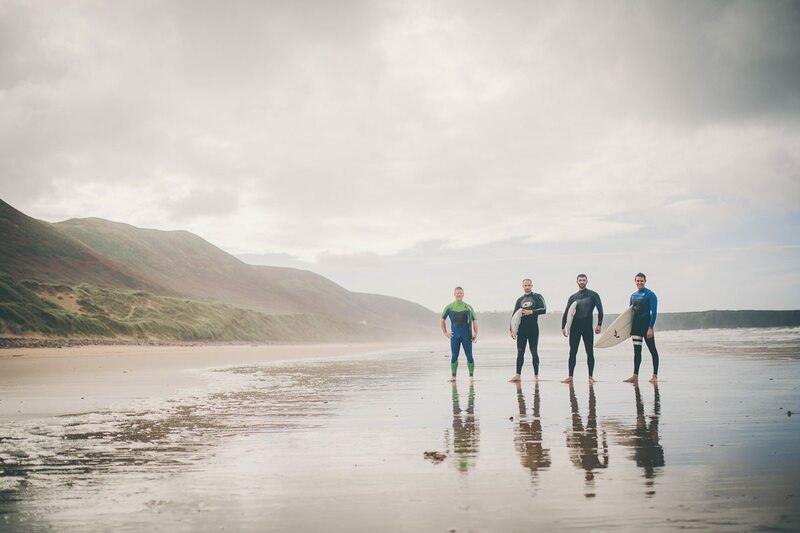 Welsh Beach Wedding - Oxwich Bay Wedding Surfing Rhossili Bay. 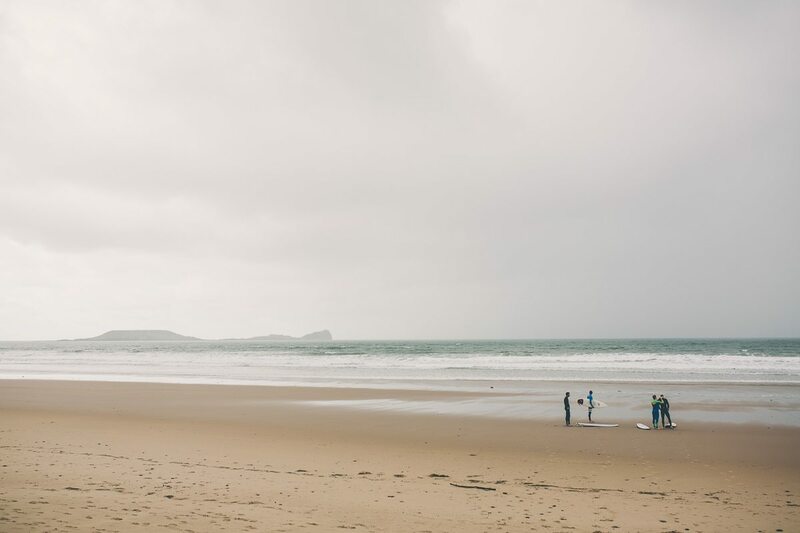 Jo & Jay were married at Oxwich Bay last year on a gorgeous day in September. 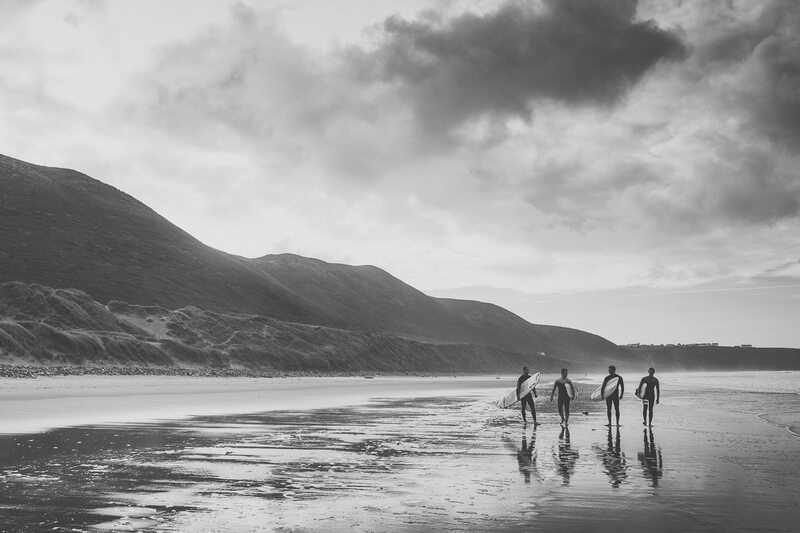 I was there second shooting for Rachel Lambert Photography and my start to the day was to cover Groom prep with Jay at Rhossili Bay. 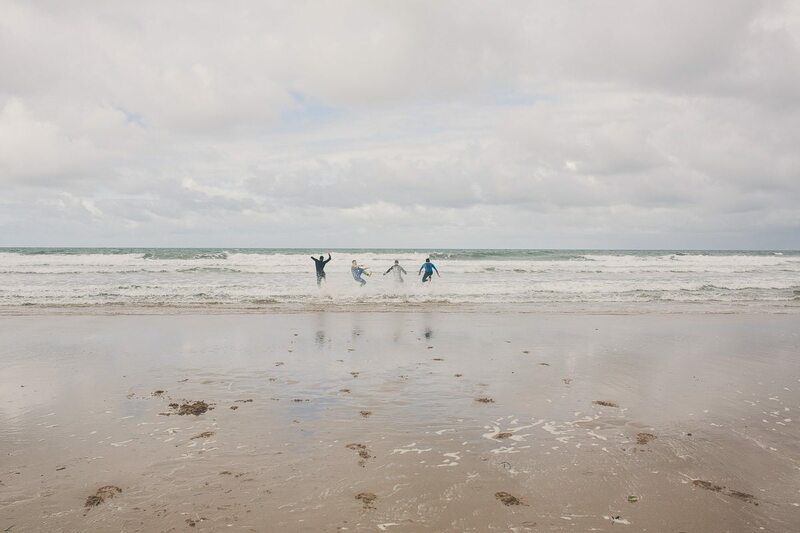 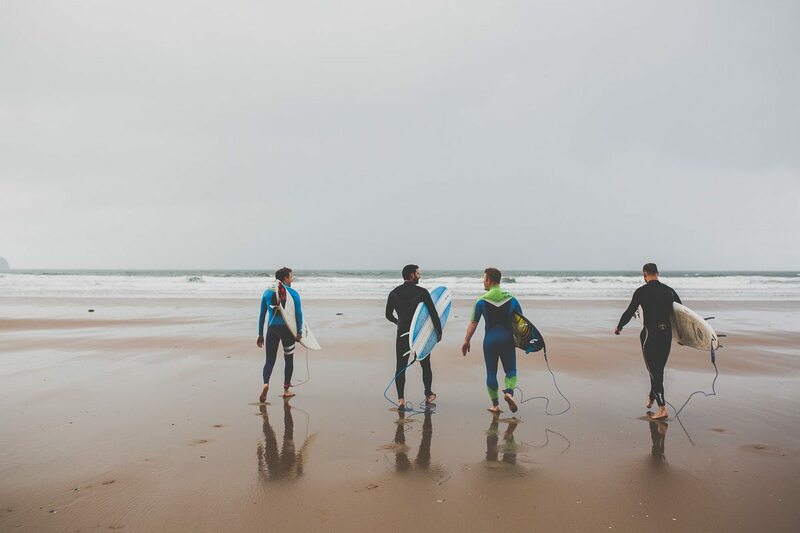 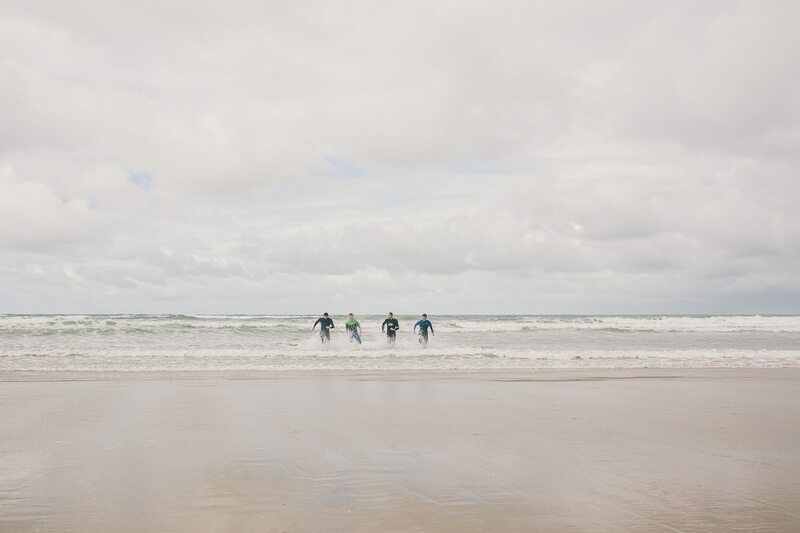 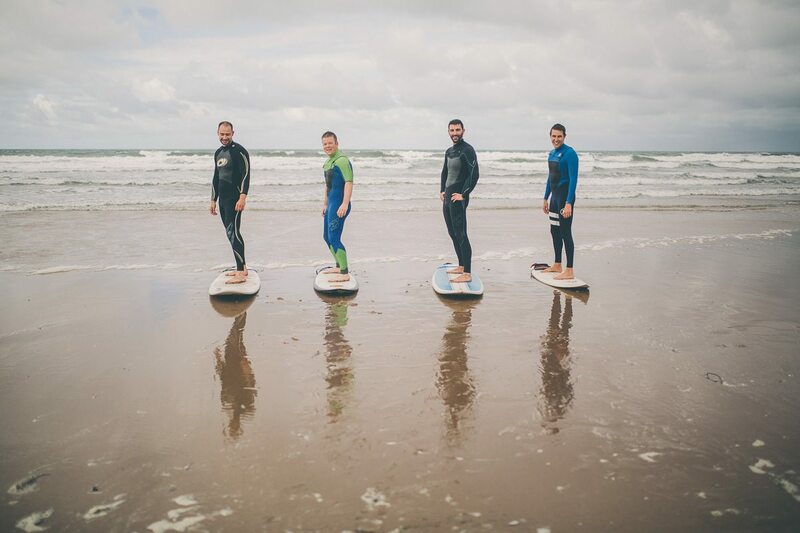 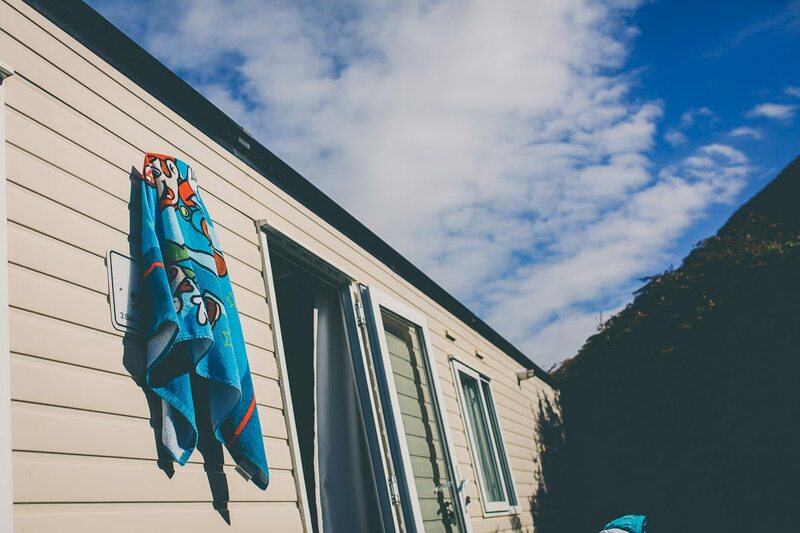 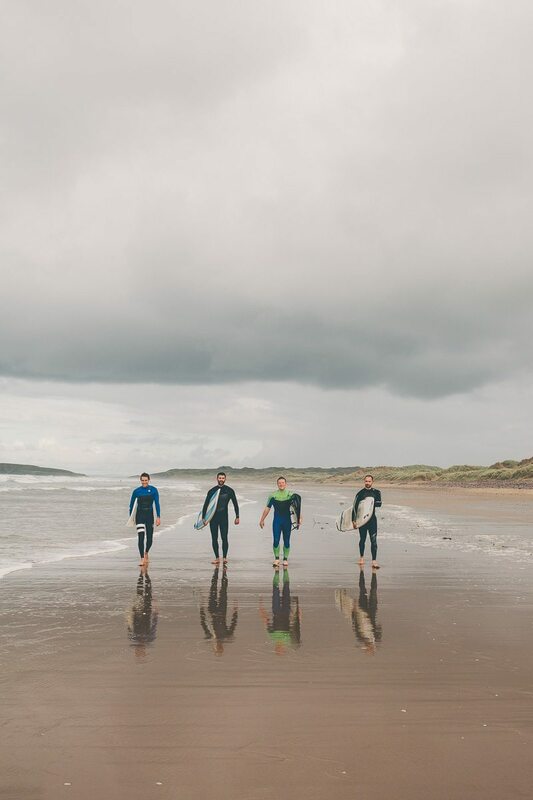 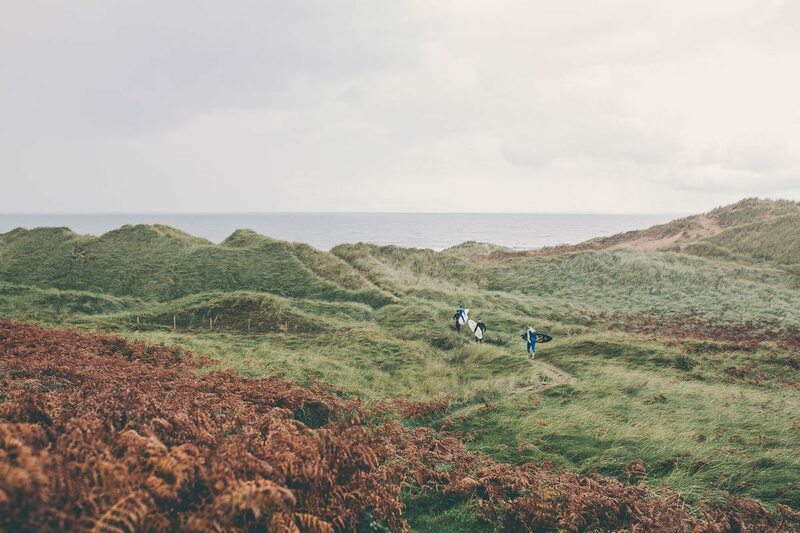 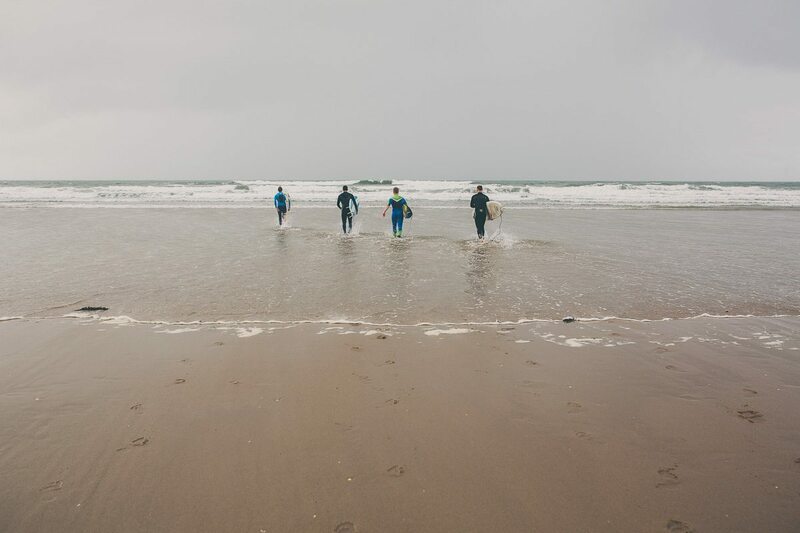 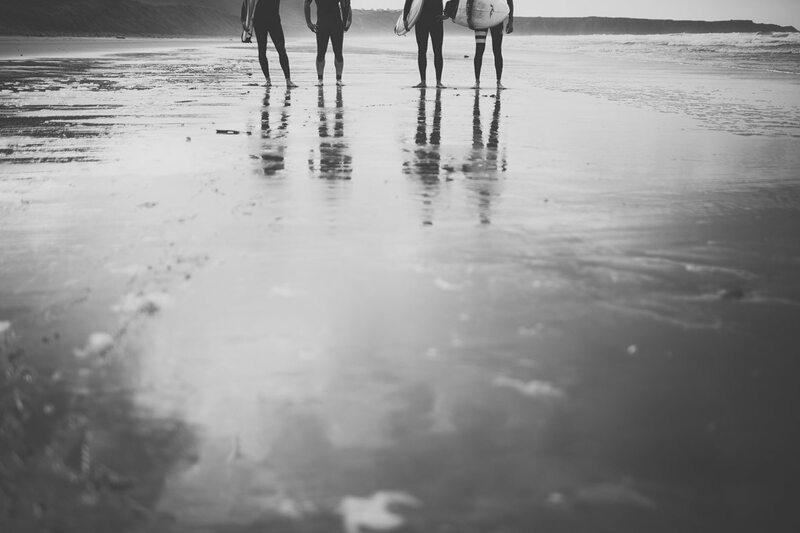 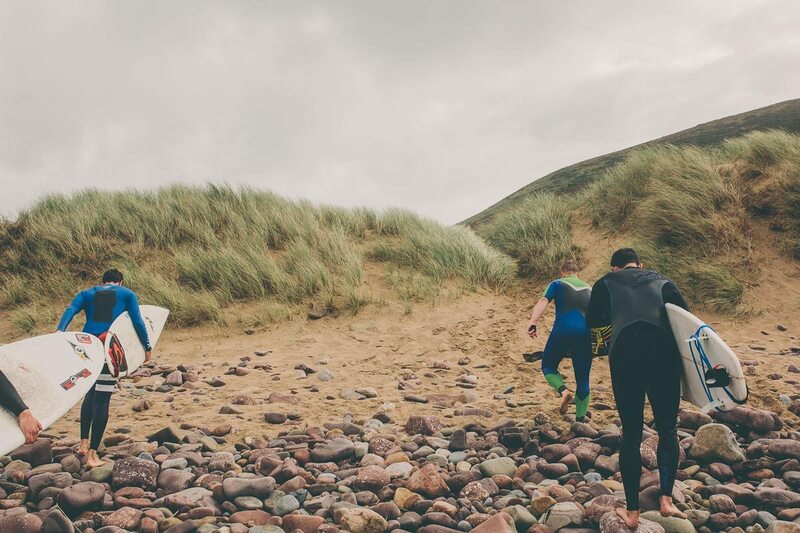 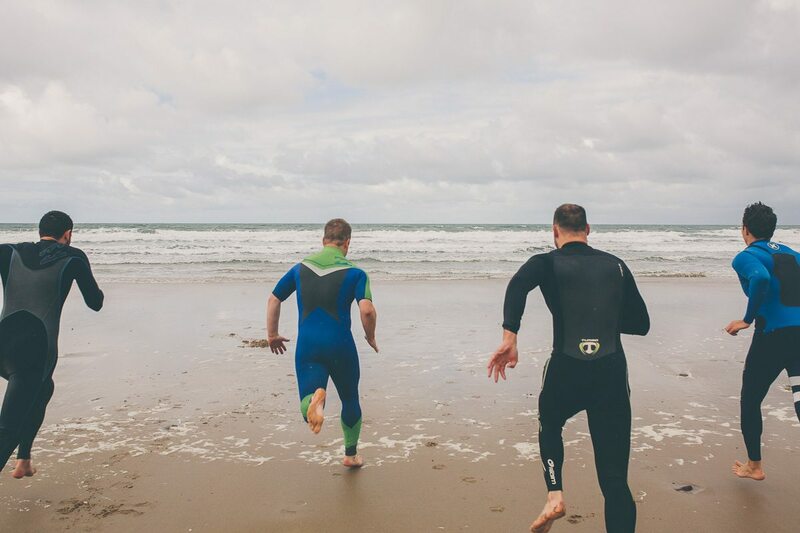 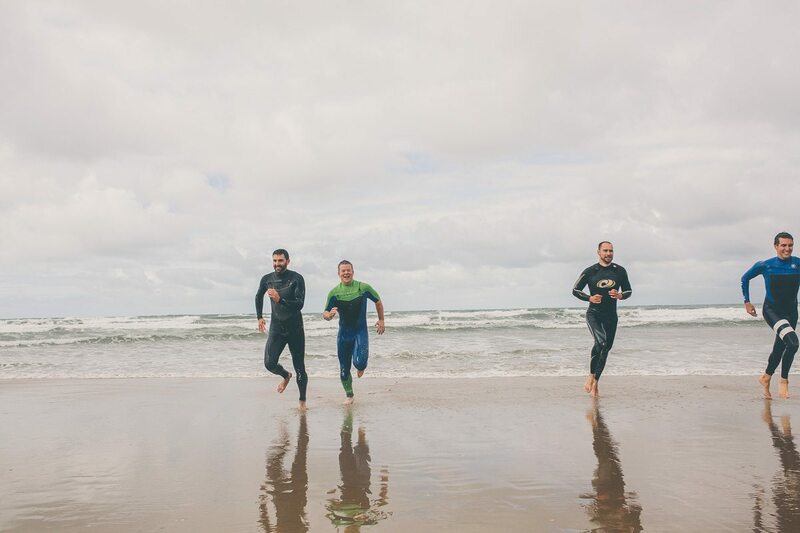 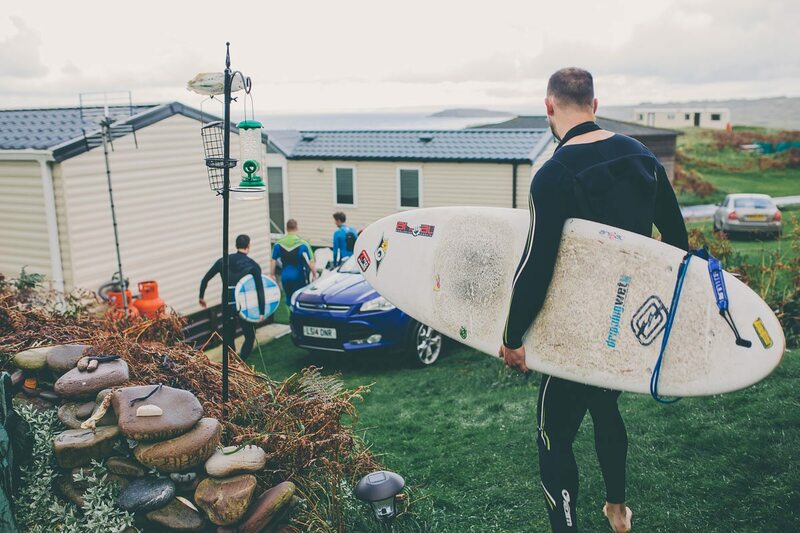 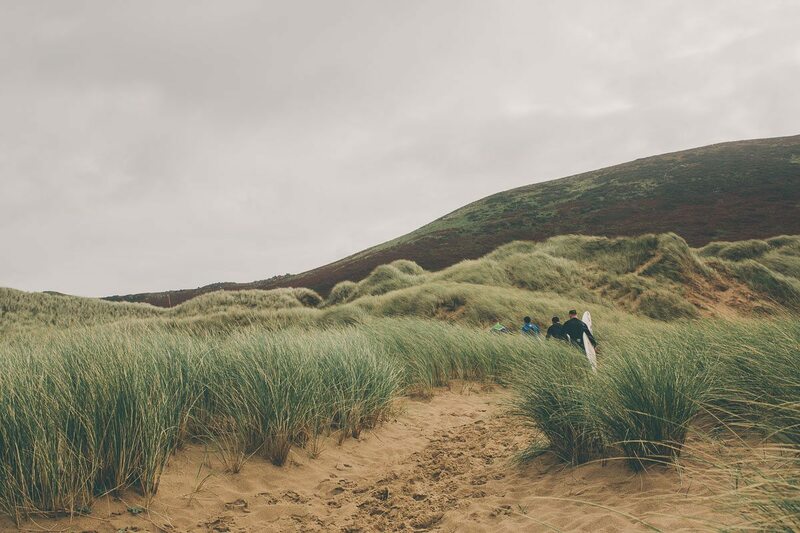 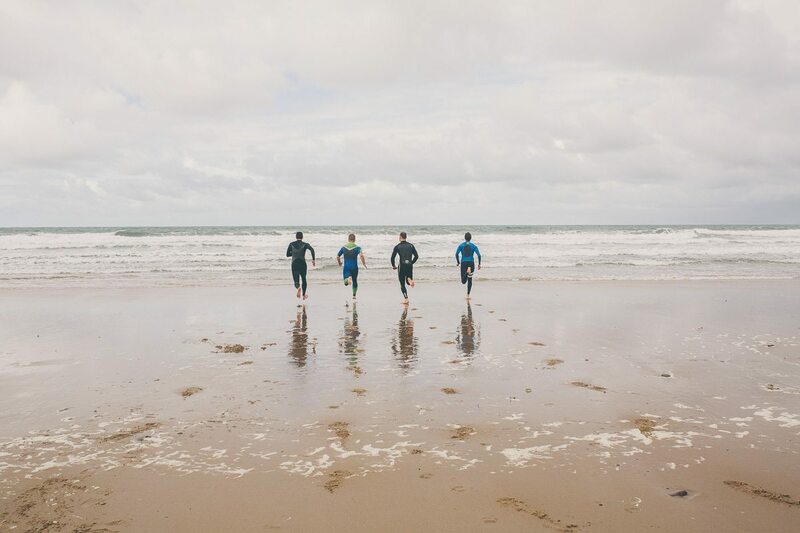 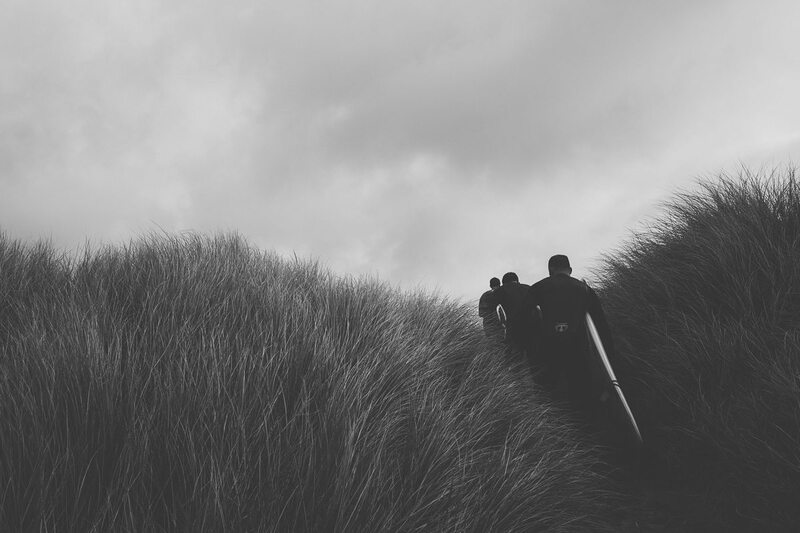 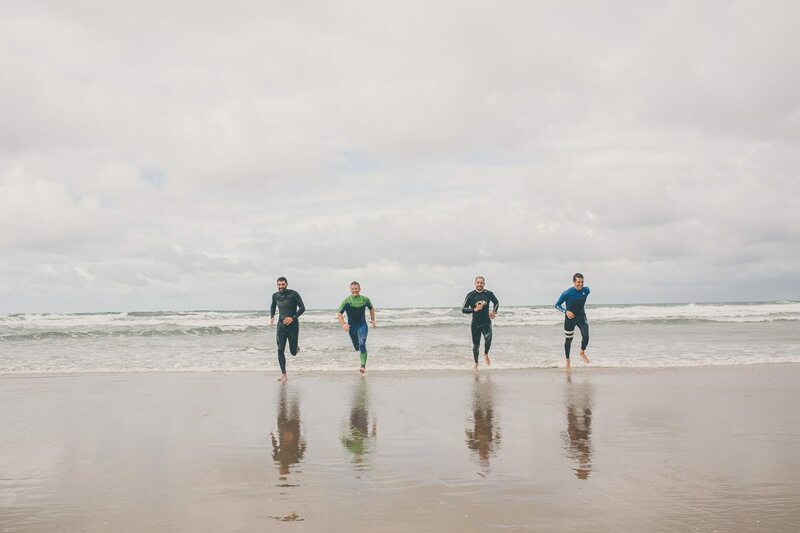 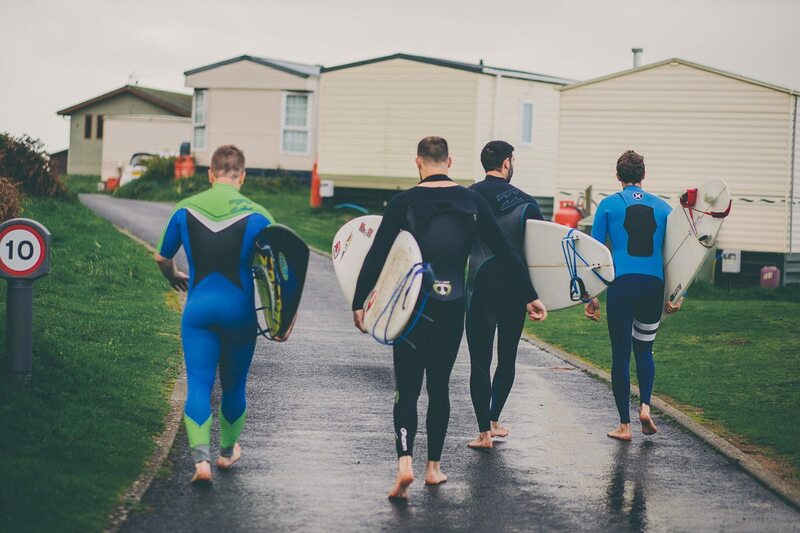 He had spent the night before his wedding with his groomsmen at Hillend Camping Park and they were all set to go surfing on the morning of Jay & Jo’s wedding. 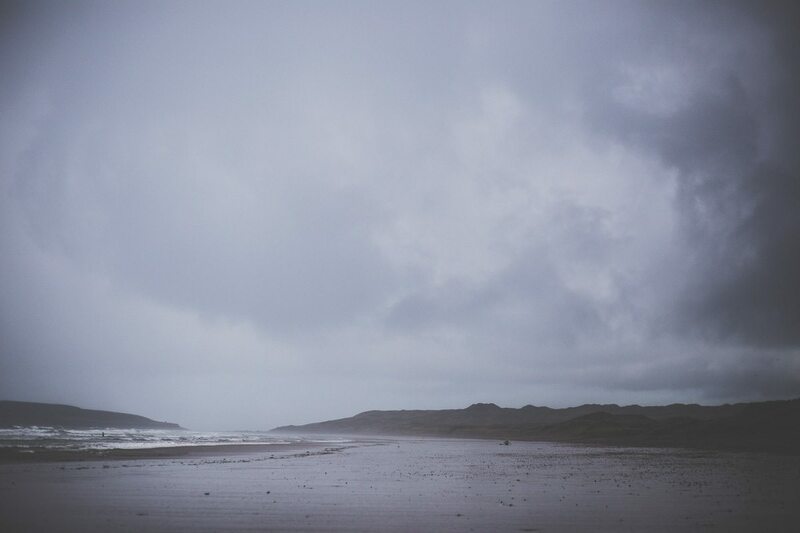 I was there bright and early, the sky was grey and ominous looking and I was glad I had brought my rain coat. 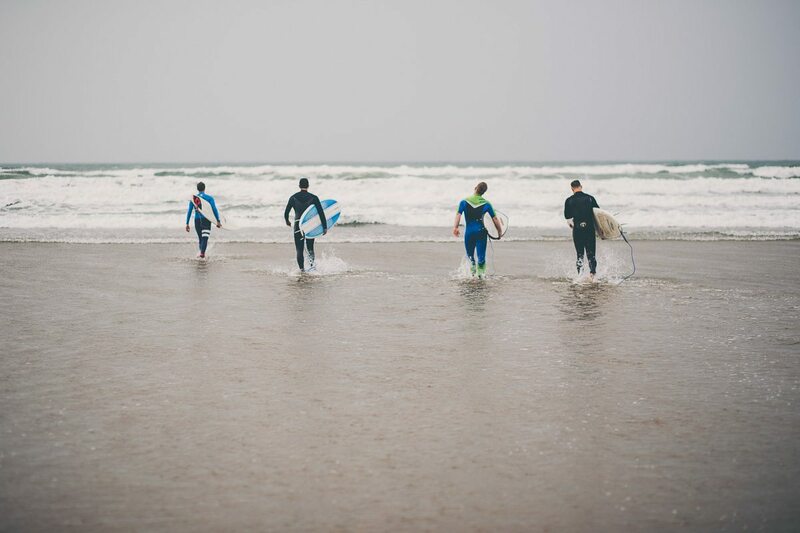 I can easily say that this is the most unusual activity I have covered on the morning of a wedding and I totally loved it. 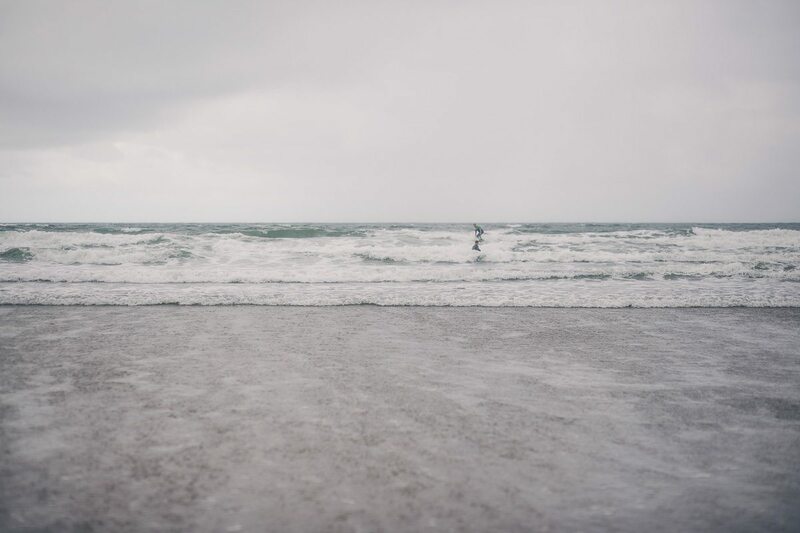 I got absolutely soaked as it bucketed it down while I was on the beach but I really didn’t care. 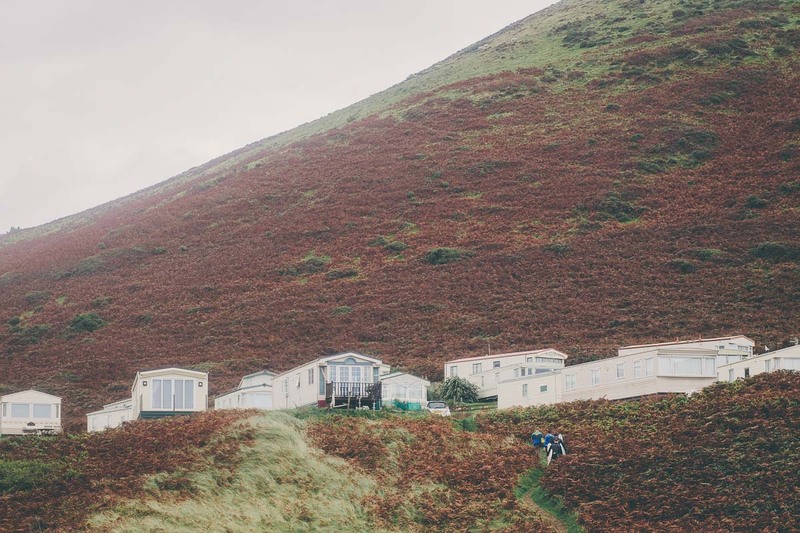 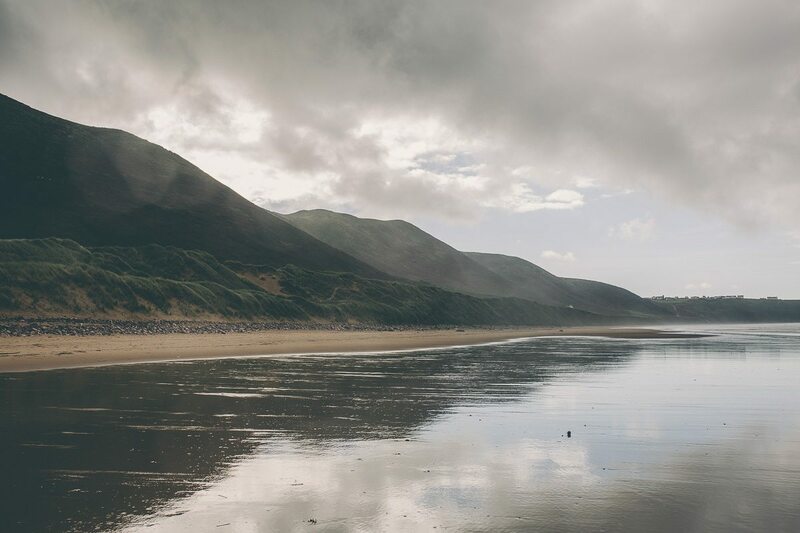 Rhossili Bay is a gorgeous beach which we had all to ourselves that morning. 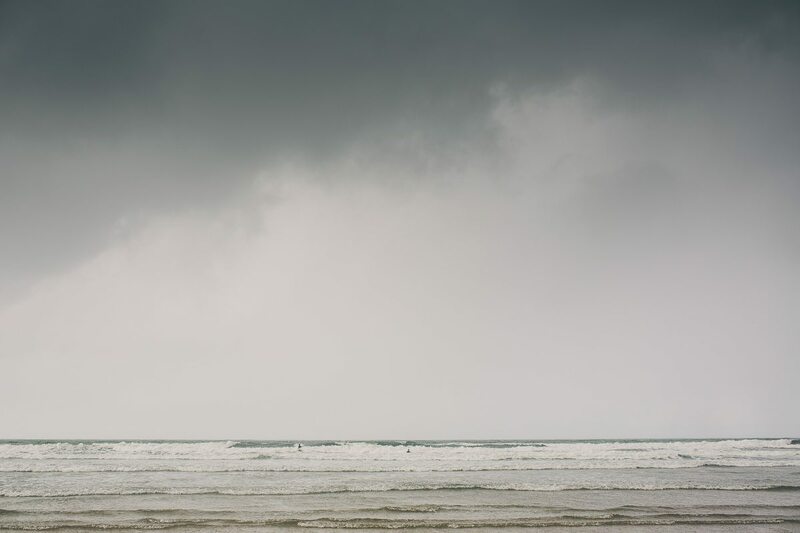 The clouds were wonderfully dramatic and Jay had a whale of a time out in the waves with his friends. 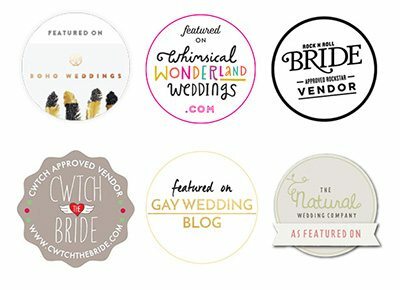 I so often tell my clients that they can do whatever they want on their wedding day and this is a prime example of doing just that. 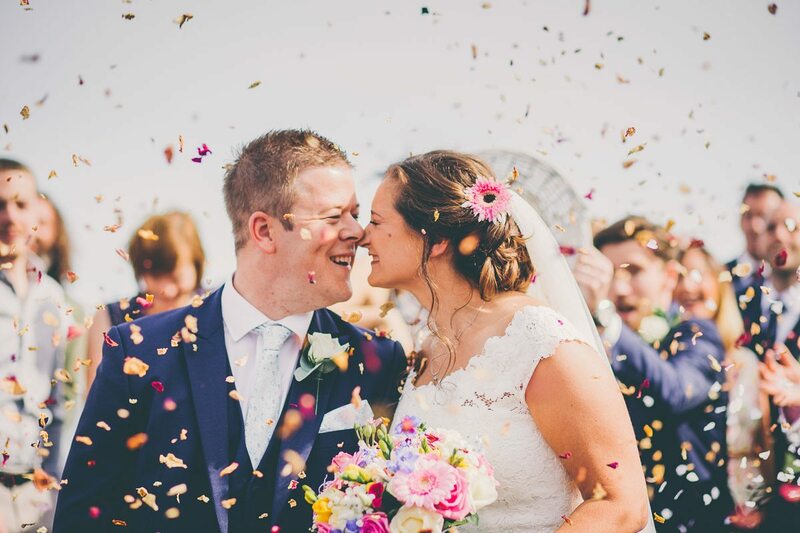 Jay still arrived at his wedding on time and looked every part the smart & happy groom. 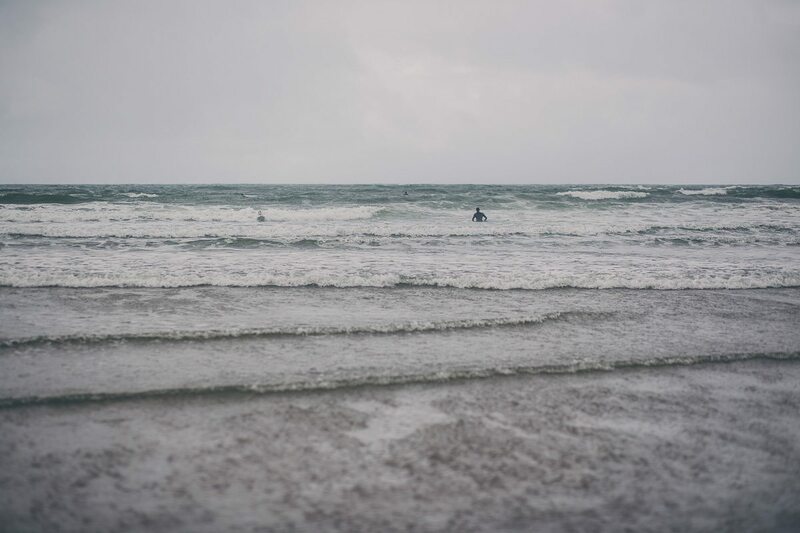 But a few hours earlier he was surfing the waves of Rhossili bay and messing around on the beach. 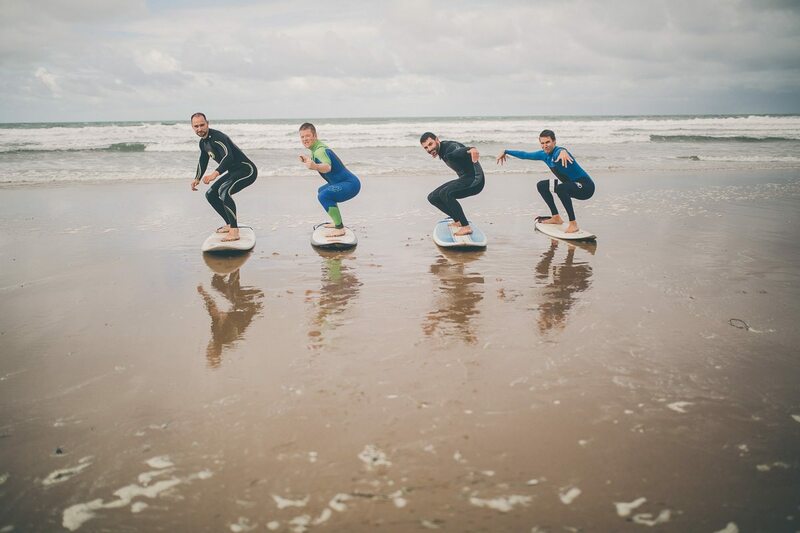 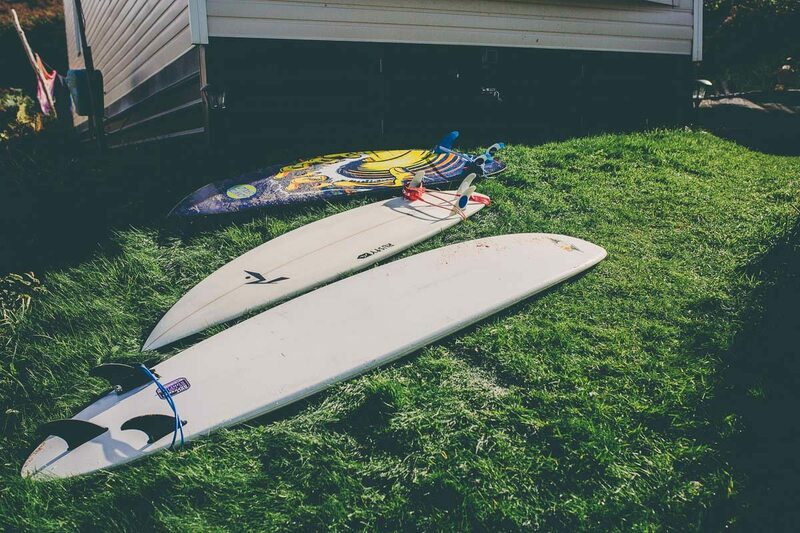 So if you want to go surfing on your wedding day or some other thing that you love doing .. do it! 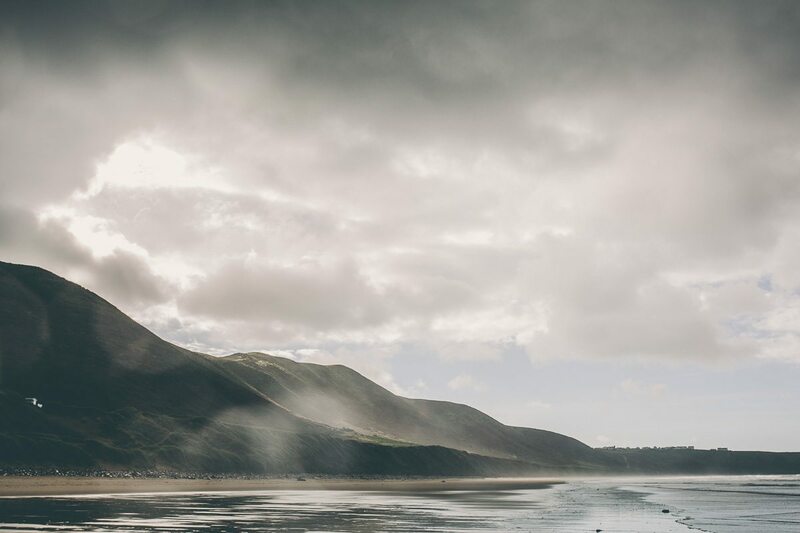 It will add something wonderful to your day and be an awesome story to tell in years to come. 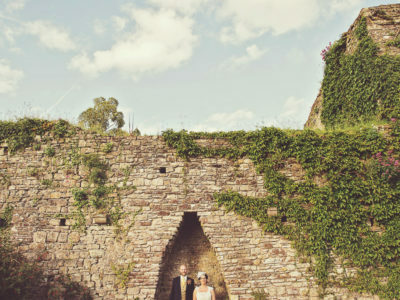 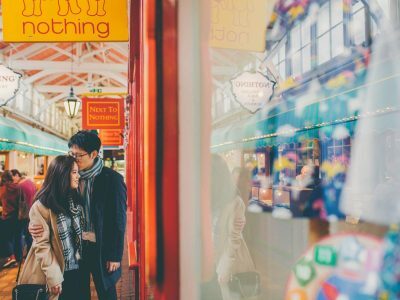 Just make sure you book me to photograph it because I love telling stories, especially unusual (for a wedding day) ones! 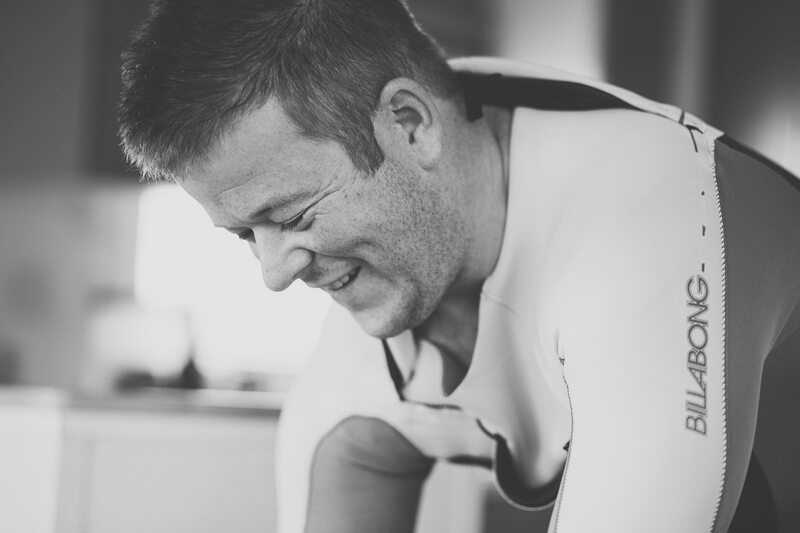 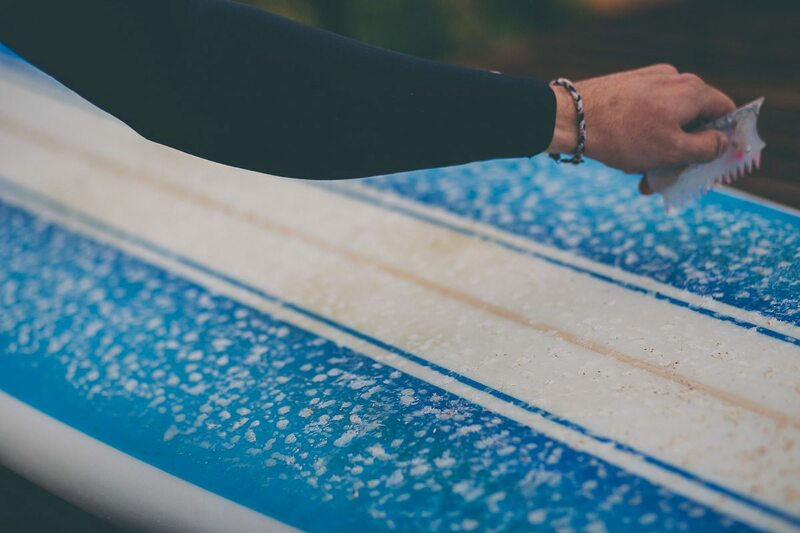 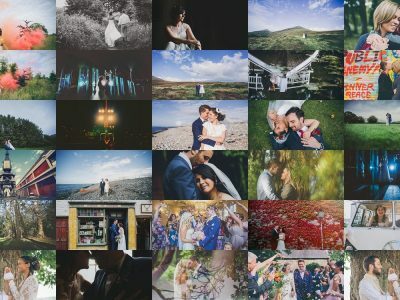 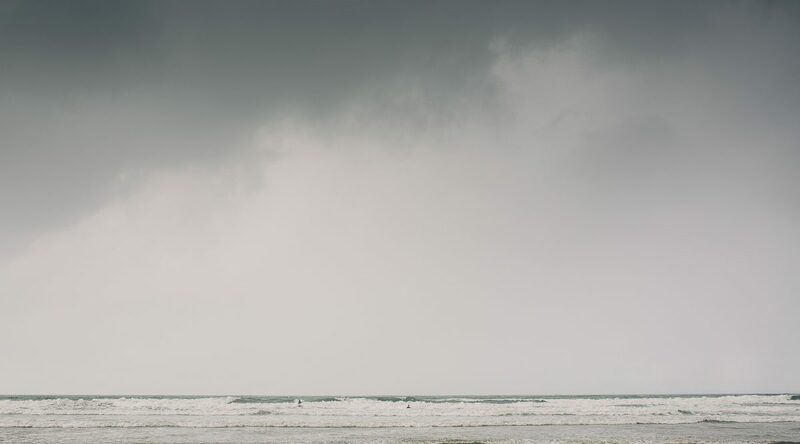 To find out more about booking me to document your wedding day, surfing or not please go fill in my contact form and tell me all about your wedding day and what makes it special to you.